Tonight at 8:18pm, Tesla announced the D version of the Model S. The D as many owners guessed stands for Dual motor or an all wheel drive version of the Model S.
Elon stated that the 0 to 60 will be 3.2 seconds with the P version of the AWD. This number is really fast and even faster than my Roadster. I have not been excited about the P85 because the acceleration was not nearly as smooth as the Roadster. I hope to get a service loaner P85D in the future to check out the characteristics of this acceleration with two motors not just one. 2. Top speed is higher. This feature will probably be hard to take advantage of in most places outside of perhaps the German autobahn or very remote locations. ICE cars become less efficient when you add AWD. With the sophisticated electronics, the Tesla D is more efficient than a standard Tesla even with the increased weight of the second motor on the front axel! The Dual Motor option for the S85 is $4,000 with no listed 0-60 performance increase. The P85D is another $14,600 over the P85. The P85D requires 21″ wheels, the tech package and smart air suspension. The difference between a similarly configured S85 to a P85D is $26,600. In a way I am glad this option was not available when I bought my car as that speed is very tempting. Forward looking radar that can see through fog, snow and sand. Cameras that with image recognition that can distinguish pedestrians and can read signs. 360 degree ultrasonic sonar that creates a protect cocoon around the car and is sensitive enough to see a small child or a dog. With these features, the car can self park and automatically brake. On private property, you can summon the car to you. Although I am more excited about the speed of the D for roller coaster thrills, the auto pilot features are potentially more interesting for many buyers. 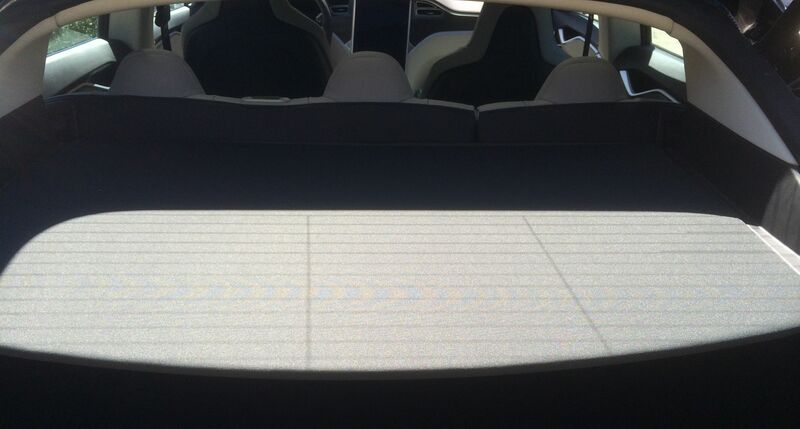 I have blogged about the Tesla service several times over the years. I have found the service personnel very courteous and have given them in general high reviews as do other owners, who do not have a visible presence in the internet world. My car went in again for service recently and I drove a 85 loaner with 19” wheels, coil suspension, parking sensors and a parcel shelf. What was interesting about my recent service experience is that for the first time they are checking both vehicles for door dings and paint issues. 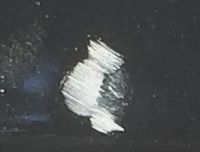 The valet said that some customers have complained about the clear coat leaving marks from rain spots. This year has been so dry, outside of some freak summer rain in the early hours, I haven’t thought about rain. The loaner with about 500 miles on it actually had a significant ding on the front of the car. Unfortunately during my service, my loaner vehicle had a failure on the last day. 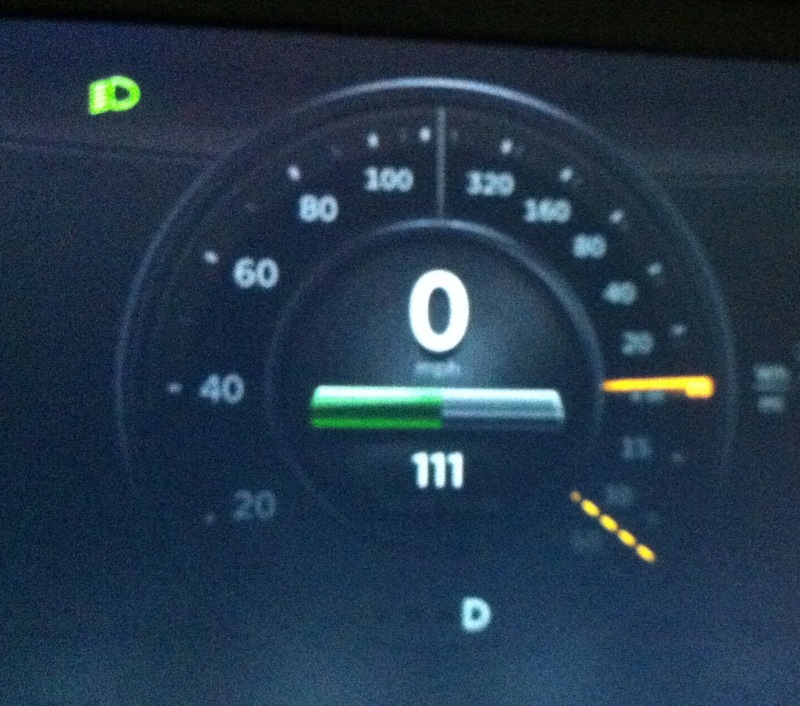 With the new firmware 5.12 on the loaner, I got a generic warning “Car Needs Service”. The car was still completely drivable but the main screen was not responsive to touch and could not be rebooted. A number of smart buyers are buying these loaner vehicles in order to get faster delivery and a slightly less expensive car. I think buying a loaner from Tesla is a good option. Surprisingly when I had this loaner, I drove it at only 314 Wh/mi, which is the lowest value I have ever driven since hypermiling in Utah. 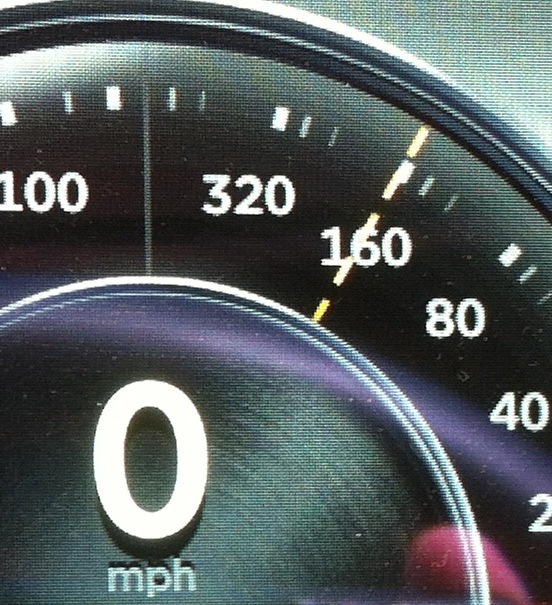 In these 125 miles, I did only 20 miles of freeway driving and most of the miles were on boring and busy city streets. Since the loaners are almost the identical car that one already owns, there is no reason to go on a joy ride. I did notice the slight difference of the coil suspension and the 19” wheels but still found the loaner configuration a very nice option for someone who wants to save money in both the purchase and the tire wear. This loaner was the first car with a parcel shelf, which I liked more than expected. It was unobtrusive and easily hides things in the trunk — even if all you are hiding is reusable grocery bags. Today I was very excited that they extended the warranty on the 85kWh model S for the drive unit to 8 years and infinite miles. A number of owners had experienced issues with the drive units including another blogger, Dan Edmunds. Many of these issues were relatively minor such as noise during acceleration. Since the drive unit is sealed, the entire drive unit is replaced. Today, Elon Musk made this warranty announcement including that it is retroactive for all Model S 85kWh vehicles! In much of California we have two basic seasons: winter and summer each about six months long. In the winter it may occasionally rain and we wear long sleeves and carry an outer layer. In the summer, we wear short sleeves. On this cross-country journey, I ran into a lot of unexpected weather. I wrote earlier about the snow over the Colorado mountains, the freezing conditions and 55mph gusts through Wyoming and South Dakota. Fortunately the East Coast and the South were more pleasant. The day before arriving in Denver, I was surprised to learn that there was a serious tornado warning in Wyoming and Northern Colorado. In my lifetime I have only heard of one freak tornado that occurred in the San Francisco Bay Area about ten years ago. Once I hit Northern Colorado, the road signs indicated active tornado warnings. The freeway was full with both cars and trucks. I scanned the radio to try to learn more. I figured I would keep a lookout on the sky and see what the other vehicles were doing. After Colorado I spent a couple of days enjoying southern Utah. 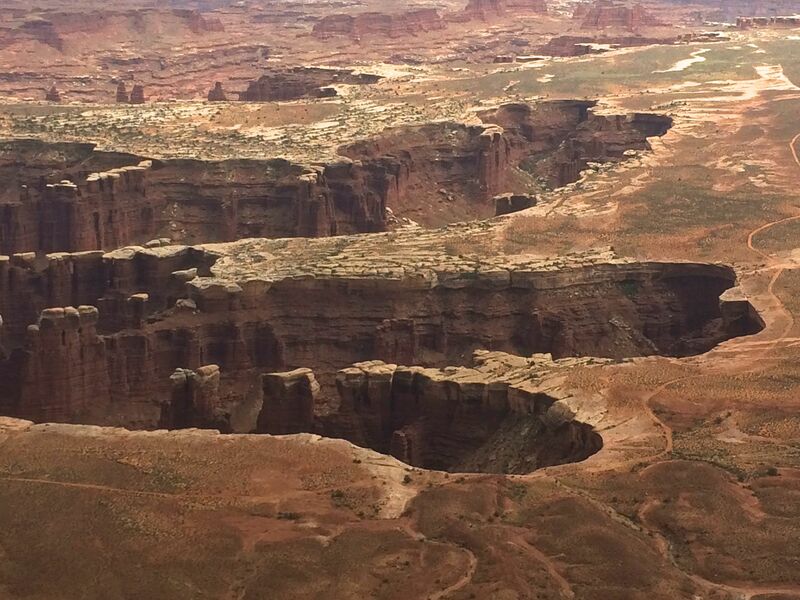 I went to Canyonlands National Park and while taking the picture above it started to hail. I luckily did not venture out on a hike and returned to my car. 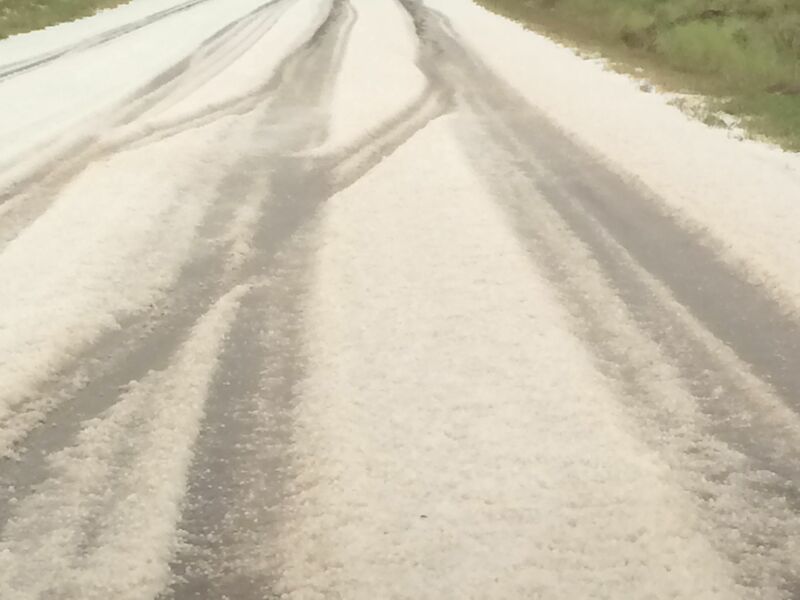 A few miles later I found quite a layer of hail on the road along with some serious precipitation and wind. The drive was a little scary as I knew two of my tires were not in particularly good condition and definitely not suited for “snow”. The conditions deteriorated after the photo was taken. I was told by a local in Moab that it only rains typically around ten days a year. All along this journey I have experienced unusual weather that I suspect may be caused by climate change. Luckily I survived rain, wind, snow, hail and tornados. We finally had a rainy spell this winter during our drought here in California. One morning the car actually slipped pretty severely! The road situation was actually very extreme. I was driving on a very unusual pavement where half the roadway was a large grate — probably five feet in length. So two of my wheels were on wet slick pavement and the other two were traversing this highly unusual grate. For a brief instant the car definitely swerved and scared me a bit but the quickly corrected itself as nothing had happened. I rarely actually take this particular section of road, but I vaguely remember it being dicey in the past. I suspect this unusual grate was installed to correct severe flooding problems. Late last year we had a serious cold snap and the garage one morning was around 40 degrees Fahrenheit (about 5 degrees Celsius). To my surprise, I actually had a dashed yellow line — limiting regen. While parked the car uses as little energy as possible to keep the battery warm in order to avoid the energy wasting vampire drain. In cold weather you can drive your car with a cold battery, but the regeneration of energy into the battery is limited. After only a couple of miles of driving, the battery warmed up and the yellow line disappeared. As I earlier reported, I did a number of supercharger tests where I drained my battery down to 0 rated range. While intentionally draining the battery, the upper limit of power was reduced — indicated by the dashed yellow line. I don’t remember the exact rated range left before the power was limited but it was at a significantly lower level than normal. The car still had enough pep to very comfortably drive. 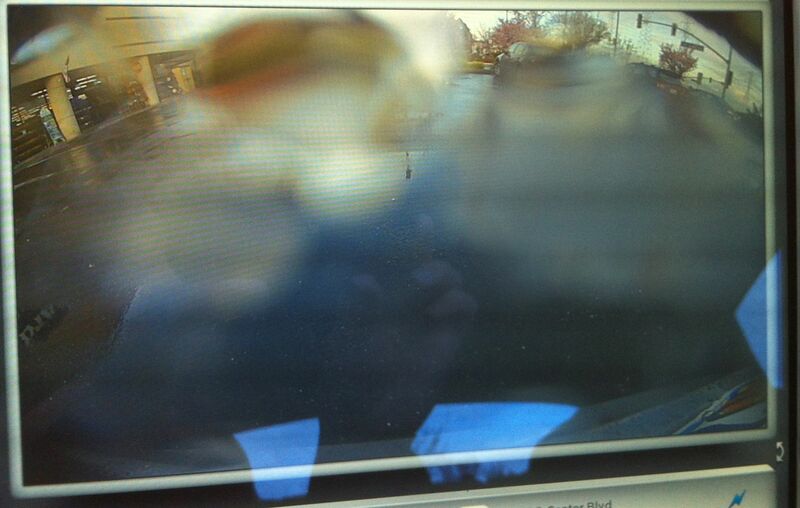 I also noticed in the rain serious impact to the rear facing camera. I think this is a problem with all cars. I had grown a little too dependent on the camera during driving instead of the traditional mirrors and head turning. California has been deluged in rain for the last week. For the most part, the Roadster performs very well in the rain. However, I am not particularly fond driving the Tesla when it is raining cats and dogs. The reasons below have to do with the fact that the Tesla is a tiny low car — not because it is an electric car. 1. Since the visibility is somewhat more limited in the Roadster than a typical car, I found it a bit challenging to see well in a downpour. 2. Typically, other drivers really notice the Tesla. However, I am a bit concerned in a grey heavy downpour the small car will be harder to notice. 3. With two people in the car and very little airspace, in high humidity the inside can steam up quickly requiring heavy ventilation on the front window. 4. Hydroplaning occurs at lower speeds with lighter cars. 5. Driving through large deep puddles is not a great idea in such a low car.